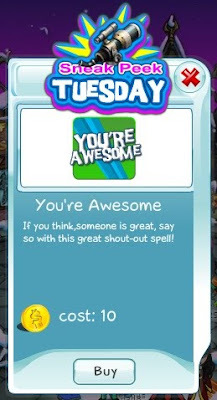 Today we're offering you a sneak peek to another great shout-out spell - the "You Are Awesome" Spell. You can see what it looks like from the picture - that's a truly great way to catch somebody's attention. Get the spell today and show your appreciation to those whom you like. Hurry and get it now, because this is a preview and wouldn't be available again until a month from today!